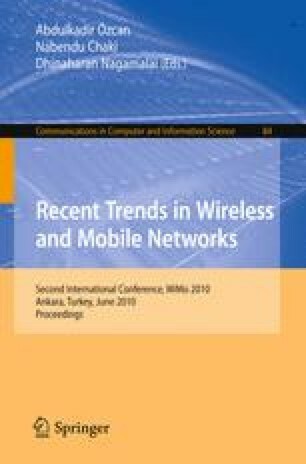 The interconnection of Mobile ad hoc networks (MANETs) and the Internet is supported by a Gateway. The gateway is responsible for informing about some configuration parameters as well as for facilitating the creation of the routes to the Internet in the MANET nodes. For these tasks, several control messages are generated. The way in which these messages are originated differentiates the integration supports for MANETs. In particular, in the hybrid Global Connectivity support the Gateway generates periodic Modified Router Advertisements (MRA) which are broadcast in an area close to the Gateway. The optimum values to define the periodicity of these messages and the area in which they are propagated depend on the network conditions. Therefore, an automatic and dynamic algorithm is recommended to be implemented in the Gateway to adjust these two parameters. In this sense, this paper presents a technique by which the interval of emission of the MRA messages is controlled by a fuzzy system. The fuzzy system captures several network conditions such as the link stability or the number of sources. The simulation results show that the proposed scheme outperforms other adaptive approaches for the gateway discovery in MANETs.